Who’s Taking Care of the Sandwich Generation? 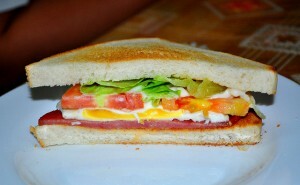 Home \ Healthcare Resources \ Blog \ Who’s Taking Care of the Sandwich Generation? There’s a whole generation of people who are so busy caring for others they can easily forget to care for themselves. Known as the “sandwich generation,” these adults are squeezed between aging parents and their own children—both of whom need help. It’s not uncommon for members of this generation to juggle full-time jobs while taking care of their elders as well as raising children (or grandchildren) or supporting young adults who have not yet become fully independent. Multigenerational households have become increasingly common as America’s elderly population continues to grow. The U.S. Census Bureau expects the 65-and-up age range to more than double in size by the year 2050, reaching 88.5 million. Nearly half of Americans between the ages of 40 and 60 already serve as caregivers to aging parents while still raising children. Another 7 to 10 million are caring for their parents from a long distance. Caregiving has its rewards, but it’s also a demanding role. Meeting the diverse needs of so many people can cut into the caregiver’s personal time, and self-care often falls by the wayside, say primary care doctors in Portland. Money. Caring for one’s parents as well as children can stretch a family’s budget thin. About one in seven middle-aged adults provide financial support to both an aging parent and a child. These expenses add up to an extra $10,000 per year, on average, for adults in the sandwich generation. Time. Both childcare and elderly care require large time investments. The sandwich generation spends an average of 1,350 hours each year caring for their parents and children. When you add in a full work schedule, that doesn’t leave much time for recreation, eating well, relaxing or even sleeping. Stress. Caregivers who are overworked can be prone to anxiety, stress and depression. On top of worrying about money and feeling like there’s not enough time in the day to do everything, members of the sandwich generation may also struggle with feelings of isolation and guilt. Nurture your own well-being. Simply meeting your own basic needs can go a long way toward combating stress and anxiety. That means ensuring you get enough exercise, proper nutrition, sleep and regular doctor appointments. Ask for help. You don’t have to shoulder the entire burden yourself. Kids who are older than pre-K can pitch in with the household chores, while siblings or other relatives could help with things like taking a parent shopping or providing care while you take a nap. If there aren’t any volunteers handy, consider hiring a senior care aide or even a housekeeper to clean the house so you can focus on your family. Take time for yourself. Even when there aren’t enough hours in the day to get everything done, it’s important to prioritize your own desires every now and then. Set aside some time each day to check in with yourself, relax and pursue an activity you enjoy doing. Let go of control. Choose your priorities carefully and let everything else go. For example, if you need to let the housekeeping slide while you support a parent through a medical procedure, don’t sweat it. Practice saying no to unnecessary requests or demands on your time. Enjoy the moment. There’s a lot of joy to be found in caring for others. Relish even the smallest moments of connection and satisfaction—they can help carry you through the hard times. Belonging to the sandwich generation isn’t easy, but there’s no need to sacrifice your own needs. In fact, the better you take care of yourself, the better able you’ll be to take care of others.